During a speech at the Tyro Fintech Hub in Sydney on Friday morning, federal Treasurer Scott Morrison pointed to the promise of “regtech” – a new word that is increasingly rolling off the tongues of the global regulatory community. Regtech (an amalgam of “regulatory technology”) is a subset of fintech (financial technology). While fintech has captured the imagination of banks, entrepreneurs and investors around the world for its ability to enhance how customers experience core parts of banking like lending and payments, banks are interested in regtech because new technologies can be deployed internally to reduce the costs of complying with various regulations. Morrison told about 200 members of the Sydney fintech community on Friday that “regtech” has the potential to create new efficiencies in the financial system because it will help create for Australia “a regulatory system which is technologically advanced”. Global banks are starting to adopt the nomenclature. 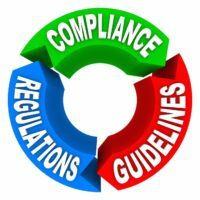 The Institute of International Finance, which represents 500 banks from 70 countries, released a report in March titled Regtech in financial services: Technology solutions for compliance and reporting. It defined regtech as the “use of new technologies to solve regulatory and compliance requirements more effectively and efficiently”.